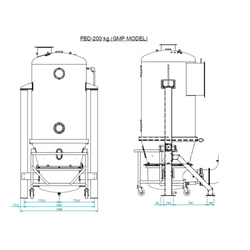 Prominent & Leading Manufacturer from Mumbai, we offer fbd-200 assembly industrial dryers. With our immense domain expertise, we are involved in offering FBD-200 Assembly Industrial Dryers. Used in different industries, offered dryers are manufactured using the finest quality components and progressive technology in adherence with industry standards. Moreover, we provide these dryers in variegated sizes and shapes as per the needs of our clients. We test these industrial dryers against varied parameters so as to ensure their quality.